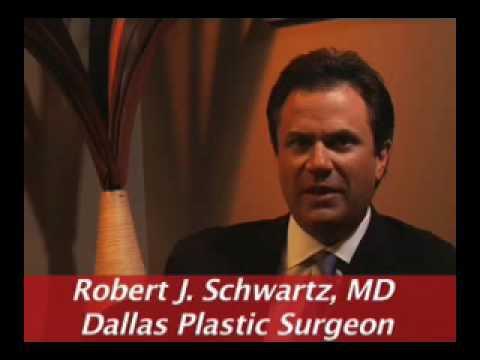 As a Dallas Plastic Surgeon, Dr. Robert Schwartz is a strong proponent of VASER liposuction. Dr. Schwartz uses VASER for his Plano liposuction patients to achieve more dramatic results without the drawbacks of traditional liposuction (soreness, swelling, long recovery times). With VASER performed by Dr. Schwartz, you'll feel better and look better than you would after a traditional liposuction procedure. Gentle ultrasound waves break down the fat before removal which allows Dr. Schwartz to remove more fat without causing dimpling or rippling. Contact Dr. Schwartz to learn more about VASER. I started doing Vaser ultrasonic liposuction about four years ago and for a few months, I was sort of going back and forth. If someone wanted regular liposuction, I would do that and if some people wanted the Vaser, I would do that. But I stopped doing that after four or five months because I realized the results with the Vaser were dramatically better than what I was getting with regular liposuction. So now, I do the Vaser liposuction. The reason I do that is, there are several very important advantages. The first advantage is that having the ultrasonic break up the fat is gentler. If you've ever seen someone doing liposuction on TV and you've seen that doctor kind of hammering away at it, you don't do that with the Vaser. When I'm using the Vaser, I can basically use two fingers to guide that probe through you, because the ultrasound's doing the work. The less force that I use, the less it's going to hurt the next day. So the first big advantage of the Vaser is that the recovery is just much easier. I don't hurt as much, there isn't as much swelling, there isn't as much bruising. You just feel better faster. But the bigger advantage of the Vaser is simply that by liquefying the fat first, I can take more out and I can take it out more evenly. That means you get more dramatic, smoother, better results. That, to me, is a huge advantage and the reason I do it almost exclusively.